Download the Pdf version here or read the strategy below. Our community and treaty partners working together to restore a healthy, thriving marine environment in Tasman and Golden Bays to sustain connection, use, and enjoyment by present and future generations. Facilitate stakeholders to collaboratively address environmental issues so that the marine environment of Tasman and Golden Bay are regenerated. Ecosystem based management, ecosystem services, community collaboration, education, marine restoration, social licence, grass roots, mobilizing communities, action. Our area is the estuaries, intertidal, and marine ecosystems of Te Tai-o-Aorere (Farewell Spit to Takapourewa/Stephen’s Island), with strong interest in the connectivity of the catchments and rivers leading into the bays. Approximately 400 sq km. There has been wide scale ecological decline to the marine environment in Tasman and Golden Bays, with the apparent failure of the relevant authorities to act. We propose forming a group of motivated citizens focusing on reversing degradation of habitat, biodiversity, and fisheries in our aquatic spaces. Our aim is ensuring abundant life in our oceans for the future, abundant fisheries, and maintaining resilience of our marine life to climate change and other stressors. We intend to future proof this ethos by gaining mandate from authorities to effect change, and by providing educational programs to the wider community. The Tasman Bay has had a history of ecological decline due to a wide variety of factors, both anthropogenic and environmental, land based and marine. The Bay is valued culturally, recreationally, and commercially with significant fishing, aquaculture, tourism and shipping industries located here. The Bay since European occupation, through a mixture of land use, pollution, fishing pressure, and habitat damage. These factors are cumulative pressures. As a community, we should be working together to minimize these, to assist in the resilience and future health of The Bay and its’ communities in the face of ongoing pressures such as population growth, climate change and ocean acidification etc. Some protection measures are in place, riparian plantings, restorations, seasonal fishing closures, coastal management plans, taiapure, marine reserves etc. with generally positive results. From interactions with the community, and personal experience, it has become clear that sharing marine areas can breed mistrust amongst users. It is difficult to understand the needs and motivations of other groups without engagement. We have found that organizing events such as clean-ups has helped to connect users in a common goal, thus strengthening our ability to work together towards other goals. 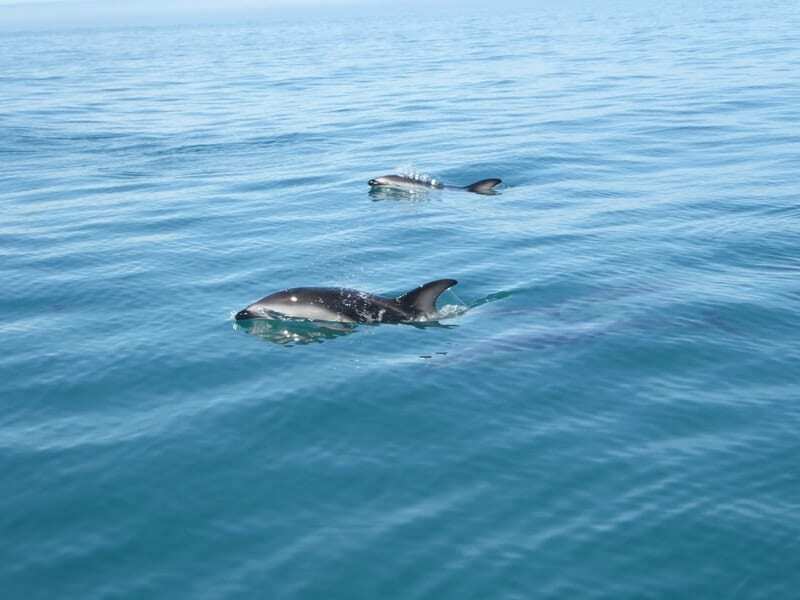 In November 2016, a discussion arising from a marine ecology presentation to a variety of users highlighted the need for a group that engaged in these conversations, Tasman Bay Guardians was conceived. Stew Robertson is the initiator of this process and author of this strategy, living in Motueka since 2002. Previously a water taxi skipper, retrained as a marine biologist and then founded Abel Tasman Eco Tours. He is also a keen diver, photographer, and recreational fisher. This strategy has been reviewed and co-edited by Peter Lawless, Aneika Young and Megan Wilson. Protect and regenerate key marine ecosystem services and biological abundance and diversity for the future wellbeing of the environment, our communities, and our economy. Foster kaitiakitanga through community engagement, education, and action. Inform stakeholders with scientifically robust research about the current state of the marine environment and possible solutions to issues. Support the development and delivery of environment education resources, and activities. Engage effectively with all interested parties and community groups associated with Tasman and Golden Bays. Provide a forum for stakeholders to collaborate, where they will identify issues and mitigate these by developing and actioning initiatives. We wish to engage with the following stakeholder groups (and any other interested party) to create tangible solutions to identified issues. Treaty Partners – manawhenua: Te Atiawa, Ngati Rarua, Manawhenua ki Mohua (Ngati Tama). Landowners, Tourism operators, Recreational users (non-fishers), Recreational Fishers, Commercial Fishers, Aquaculture Industry, Conservationists / ecologists, Educational groups, Forestry. The complexity of ecosystems and user groups will lead to seemingly unsolvable issues. The vastness of some issues may make us feel ineffective, however maintaining a stance on these issues is valuable. Financial and legal obstacles. Funding streams. Available resources. 1. Identify and map the current ‘state of affairs’, rules, bylaws, closures, projects, protections. 2. Identify marine environment issues that can be worked on collaboratively by stakeholders. 3. Identify areas of conflict between stakeholders that can be resolved. 4. Provide a forum for interested parties to collaborate on resolutions, new ideas and initiatives, that benefit all stakeholders but foremost the environment. 5. Support stakeholders to foster kaitiakitanga by actioning their initiatives. 6. Communicate the science, initiatives and actions with the community through public outreach and education programmes. Tasman Bay Guardians endeavours to listen to the needs of manawhenua, and will look for effective communication streams to enable a clear pathway to objectives that benefit Treaty partners and stakeholders. We will endeavour to integrate tikanga into our public events and will offer manawhenua the chance to be present at these. We are working with Aneika Young to develop this strategy, she also occasionally attends our trust meetings in an advisory role. We are aiming to gain an endorsement from manawhenua for our work, and learn how our strategies can benefit and compliment their needs. Ultimately we would like to have an official Maori representative on our board of Trustees. Nov 2016 – Start Facebook Page and promote the idea. Feb 2017 – Organize beach and dive cleanups in the Abel Tasman National Park, practically involving community in positive action. May 2017 – Discuss strategy with facilitator. May 2017 – Engage with key stakeholder representatives, inviting them to meet together to map out key issues. June 2017 – First of monthly meetings. November 2017 – Stew first attended Nelson Biodiversity Forum. Feb 2018 – Invite trustees to attend meeting and assign them. May 2018 – Apply for charitable status. May 2018 – Abel Tasman Tree Collective First Planting. May 2018 – WBC delivers one day freshwater programme with TDC. July 2018 – Website build starts. August 2018 – Attended powhiri for Abel Tasman Kaitiaki at Te Awhina Marae. 1. Develop relationships with stakeholder groups such as NZ Inshore Fisheries, Forest and Bird, Department of Conservation, Cawthron Institute, Sea Shepherd, Key local community members. 2. Form an entity involving motivated individuals, investigate funding avenues, appoint administrator. 3. Provide for, develop and deliver education programs (Experiencing Marine Reserves and Whitebait Connection) and support resultant actions. 4. Gain a mandate from DOC, TDC, NCC and Fisheries etc. to proceed with conversations, actions and decision making. 5. Prioritize issues and identify common ground for action. 6. Find solutions to conflict areas. 7. Educate and promote issues and gains within the community. Threats and inconveniences to stakeholders (to be added to). Cultural insensitivities, speeding / boat wake, rubbish / pollution, conflict of commercial and recreational interests in shared use areas. Natural disasters. 1. Nutrients and fine sediments modifying benthic habitats, threatening suspension feeders, and exacerbating algal blooms resulting in declining ecosystem health and resilience in the bay. Eutrophication, hypoxia in the benthos, sedimentation. Disruptive land use, forestry, roading, urban sprawl, agriculture, ageing sewage treatment systems. • Liaise with other groups to establish what is being done terrestrially and gain knowledge on the scope of riparian plantings, wetland restorations, planting native trees, sustainable logging practices, water treatment improvements. Effectively communicate this to other marine users. • Provide education through Whitebait Connection programme, to back up these initiatives and provide long term solutions to water quality issues. • Do what we can through the Abel Tasman Tree Collective to propagate, grow and plant native trees for land rehabilitation. Promote the model to the wider community. • Facilitate research on catchment effects of forestry on marine ecosystems for help in future management. Less sediment loss to the sea, cleaner rivers, recovery of benthic life, more fertile land. More productive fisheries and healthier ecosystems. • Have established this as a primary threat to fisheries from a fisheries management perspective. Their position is that they are reluctant to make any sacrifices until this issue is solved. We intend to bring together information on the combined efforts of the community to present to fishers. Have offered Talley’s chance to become part of the ATTC, but no go so far. • Commissioned a study funded by Sustainable Seas Science Challenge to look at impacts on Otuwhero estuary after cyclone Gita, as a function of land use. Assisting Stanbridge family to continue monitoring of the estuary for further degradation. • Filmed the benthic turbidity layer, to promote the issue. • Working on an artificial reef proposal that will assist in measuring sedimentation levels. 2. Continued destruction of the nursery and near shore benthic habitats. Rhodoliths, Bryozoans, Mussel Beds etc. and associated re-suspension of sediments, toxins and carbon deposits. Commercial bottom trawling, dredging and recreational scallop dredging. • Communicate with agencies to identify areas of high benthic diversity, fragile and productive nursery areas. • Consult with stakeholders to agree on restrictions / exclusions from bottom damaging fishing under the fisheries act or local bylaws. • Engage in Spatial Planning Process. • Educate public through seminars and Experiencing Marine Reserves program. Recovery of benthic life, breeding areas, and repercussions up the food chain, including recreational and cultural fishing opportunities. • Talks with fisheries managers have identified current closures and indicated they are willing to negotiate exclusions with hard scientific proof of nursery and fragile areas. • Tasman Bay Guardians has attended Sustainable Seas Science challenge to see where our strategies might fit in with the Challenge. • TBG included in the Nelson Biodiversity Strategy to lead the Marine Spatial Process in Tasman Bay. We are long way from this point at present, but are working towards it. • Temporary closure of scallop fishery in force due to collapse of stocks indicates issues in benthic environment and gives a reprieve from further damage in the short term. • Proposal for Artificial reef could include protected benthic area, which can be monitored for recovery. 3. Environmental degradation and unpleasant experience associated with processing of commercial fish offal in the sea area adjacent to the Abel Tasman National Park. Push relevant fishing industry and council to ban processing fish in park waters, under the Fisheries Act, Resource Management Act, or Abel Tasman Foreshore management plan. Reduced vilification of the fishing industry. More pleasant user experience for national park users and operators. Tourism, cultural, recreational, and commercial fishers. • Have discussed with Southern Inshore fisheries, sent in photos. They are aware of the situation and have talked to the fishers concerned, who apparently refuse to comply with requests. Rig season is in September so we will see how that goes. • Next step is consult AT foreshore management plan and push for bylaw. 4. Pressurized fish stocks and benthic communities from recreational fishing activities resulting in trophic cascades and reduced biodiversity values. Increasing population and tourist visitation resulting in high recreational fishing pressure in the summer months. Potentially over-generous catch limits, and sizes. Fishing culture (catch limit, not limit catch). Fragmented factions in recreational fishing community. Limited protected areas and seasons. Mussel farms potentially acting as Fish Attraction Devices, enabling fishers to target certain fish species more easily than if the structure wasn’t present. Start conversations with concerned stakeholders around identifying areas in need of work: Identify nursery areas, explore protection through rahui, marine reserves, species specific protected areas, seabed protected areas and recreational fishing areas. Also consider the value of local quotas and size restrictions, seasonal closures. Align commercial closures and exclusions with comparative recreational ones. i.e. ban recreational scallop dredging from areas where commercial is already banned. Explore the viability of habitat restoration through the provision of hard substrates by way of artificial reefs, monitoring different treatments i.e. protected and non-protected for recovery and protection of ecosystems into the future. Education seminars promoting responsible fishing and delivering Experiencing Marine Reserves Program. Recovery of predatory fish stocks and associated trophic cascades, recovery of biogenic habitats leading to increased diversity and increased ecosystem services. Recovery of fish stocks, protected baskets of biodiversity creating overspill and fisheries benefits, increased diving opportunities, tourism, better recreational fishing opportunities. • Currently delivering education programs and seminars with a view to increasing capacity. • Starting conversations with the aim of facilitating a forum for marine spatial planning in the Bays. • Liaising with the scientific community via the Sustainable Seas Science Challenge, to identify areas of high ecosystem services. • Delivering the Experiencing Marine Reserves programme, educating kids and their whanau on marine biodiversity, protection and sustainable fishing practices. 5. Deaths of marine mammals such as Hector’s Dolphins, and other bycatch species from commercial and recreational set netting. Prolific use of set nets creating risks to protected native species and unnecessary deaths of bycatch in the flounder and rig fisheries. • Educate fishers in the risks of set netting and the appropriate use of them. • Identify areas of importance for Hector’s Dolphins and other marine mammals, primarily by using the Hector’s Dolphins sightings App. • Collaborate with other interested parties to get the word out there. Focus on what we’ve got – If we have something to love then we have something to protect. Safe habitat for marine mammals to thrive. Decrease in biodiversity loss of a number of marine species e.g. flounder, sharks, rays etc. Improved recreational line fishing opportunities. Increased eco-tourism opportunities and narrative. A transition from commercial net fishing to longline, increasing value of product and benefitting sustainable image of fishing companies. • Collaborating with other interested parties, local fishers, Forest and Bird, Sea Shepherd and DOC to increase the profile of this issue. • Logging all sightings of Hector’s dolphins on the Sightings App. Actively looking for them in Golden Bay with John Davis of Collingwood. • Hosting Gemma McGrath (creator of the App) and other key people to host seminars in the region. • Working with Jose Cano (Sea Shepherd) to film dolphins. • Writing a blog on the subject. 6. Decreasing whitebait stocks and associated decline in ecosystem services as a result. Habitat loss, riparian grazing, sedimentation, commercialized fishery, introduced trout. Engage with wetland restoration groups and establish what work is being done in this space. Push for whitebaiting to be restricted to certain rivers and excluded from the Abel Tasman NP. Lobby for revised whitebaiting regulations. Deliver education through seminars and Whitebait Connection education program. Protection of galaxiid populations and enhanced ecosystem services. Security of recreational and customary whitebait catches into the future. • Formation and delivery of Whitebait Connection education program for Top of the South. • Working with communities to monitor streams. • Collaborating with WaiMaori streamcare on tikanga maori in relation to our rivers and education. • Promoting the cause through our Guardians FB page. • Submit on Abel Tasman Foreshore plan. • Consult with Iwi on whitebait protection and restoration perspectives. 7. Marine debris, hazard to wildlife, diminishing ecosystem services and toxic modification of marine food chain. Population growth, lack of education, lack of connection to the marine environment, irresponsible alcohol consumption, fishing, land based littering, offshore vessels. • Education through seminars, EMR and WBC, social media, organize coastal and dive cleanups. • Integrating an App on TBG website, enabling community groups to undertake clean-ups in the bay. • Have organized beach and dive cleanups and will continue to do so. • Communicate through seminars and presentations. • Support EMR action plans to combat marine debris. • Jeremy Stead to lead and develop App and work with NCC and TDC on Tasman Bay beach cleanup. We propose to deliver community driven actions, collaborating with appropriate stakeholders and corporate sponsors to achieve ecological gains in the aquatic spaces of Te Tai o Aorere. We propose to set up a Spatial Planning process of Treaty partners and stakeholders, in order to protect a wide range of interests and ensure a healthy ecosystem in the aquatic spaces of Te Tai o Aorere. We deliver seminars with the intention to educate, inform and instigate discussion with the wider public through delivery of seminars focusing on aquatic ecology and conservation and local history and current state of affairs. We intend to deliver (5?) per year and will seek funding for their delivery so that we can offer these as free public events. tasmanbayguardians.org is being designed and hosted by Jeremy Stead of Ethically Hosted. It is due to go live in September 2018. Tasman Bay Guardians is a provider organisation for the delivery of Mountains to Sea Trusts – Experiencing Marine Reserves and Whitebait Connection programmes. We have hosted the Mountains to Sea Wananga at Te Awhina Marae in April 2018. Our co-ordinators are continuing to develop the programmes to suit the region. Funding models are being developed and the future looks bright for both programmes to be very busy. Major Sponsors are Abel Tasman Sea Shuttle, Kaiteriteri Reserve Board, Tasman District Council, DOC, Mountains to Sea Trust, Tasman Environmental Trust. See the specific Regional Guiding Documents of these programmes for further details. Relationship with TET to be established. DoC have offered encouragement so far, we can investigate further with them for financial support. TDC Community Grants (Environment). We need to look at relevant funding avenues to enable the formation of an entity and further fund the support of facilitator Peter Lawless who has agreed to support this on a pro bono basis at the start to help us get this off the ground. Have received some private philanthropic assistance and will push for more. Corporate sponsorship programme. Social Process – $50,000 – $100,000 per annum for 3 – 8 years. Marine Spatial Management Process – $500,000 – $1m over three years. Action Projects – On a case by case basis. Labour costs to date are $47,477.50, we predict the management costs of the trust will be $82,600 for the upcoming year. Plus Insurance. • Founder of TBG and co-director of Abel Tasman Eco Tours. • Science communicator, diplomacy, strategy writer, education advice, technical support. • Experiencing Marine Reserves coordinator and potential Whitebait Connection coordinator. • Liaising with stakeholders and organisations at a planning level. • Regional co-ordinator of Whitebait Connection Programme. • Working with TDC, Cawthron, land owners etc to source areas for restoration. Make plans regarding the correct plants to use, how these should be planted (ie distance from bank), any habitat adulterations (meandering stream). Community science- gathering data and reporting back to community as well as TDC, Cawthron etc. • Ensure projects are not left to fail, that areas are recognized as being managed by Tasman Bay Guardians. • Collaborate with schools and agencies. • Support Tasman Bay Guardians. • To develop a pathway with Tamariki and their prospects within the community. • Community engagement- education about Marine Reserves. • Conservation and terrestrial specialist. • Original Nelson EMR co-ordinator and now ambassador. • Facilitator and technical advisor. • Plastics innovator and educator.